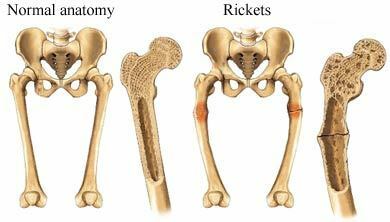 Rickets is one of the most common childhood diseases in developing countries. It has been estimated that 1 billion people worldwide have a vitamin D deficiency.Rickets was believed to have been eradicated in this country. However a re-emergence of it has occured. Rickets is a severe form of Vitamin D deficiency, which causes bone deformities. The main causes are due to the impaired metabolism of vitamin D, or the deficiency of Vitamin D, calcium or phosphorus.The leg bones become soft, causing them to become bowed (genu varum)when weight bearing occurs. Knock knees (genu valgum) can also occur. The main causes of Rickets are from inadequate intake or absorption of vitamin D, being completely covered up for cultural reasons (leading to a maternal shortage of vitamin D) or lack of exposure to sunlight due to a high sunblock. Undiagnosed Coeliac disease and pre-eclampsia, can also lead to rickets and may result inbone disease from before birth and impairment of bone quality after birth. NOTE : People with darker skin produce less vitamin D than those with lighter skin, for the same amount of sunlight. Vitamin D deficiency causes low calcium and phosphate which can lead to secondary hyperparathyroidism. 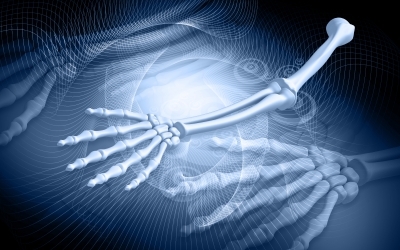 Vitamin D ensures that serum phosphate and calcium levels are sufficient to facilitate the mineralization of bone. With low levels of vitamin D, dietary calcium is poorlyabsorbed, this can result in hypocalcaemia. This leads to skeletal deformities and neuromuscular symptoms, such as hyper excitability. Children who are unwell, irritable, show poor growth, pain, skeletal deformity, reluctance to weight-bear, or have a seizure disorder should be checked for vitamin D deficiency. 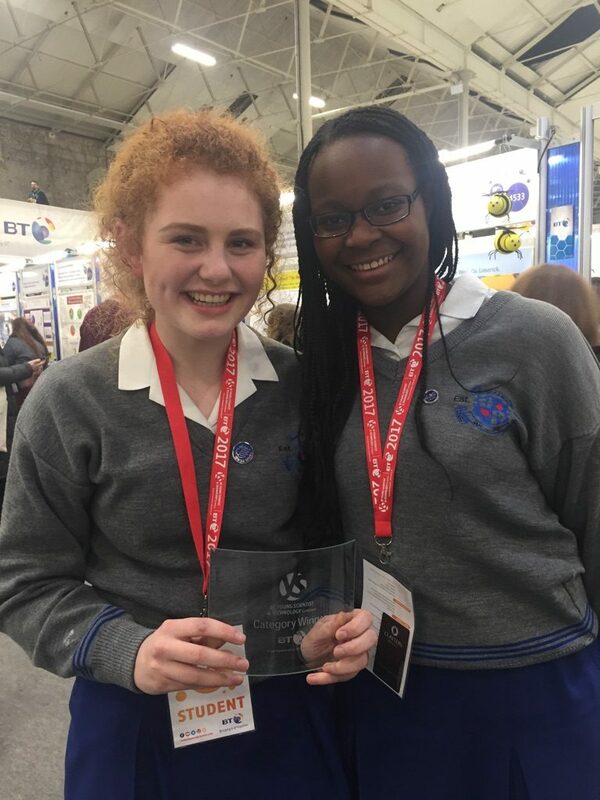 Note: Severe calcium deficiency can cause rickets despite adequate vitamin D.
In Ireland, 88% of primary school children, take less than half of the recommended daily amounts of Vitamin D. Vitamin D is not only essential for bone health, but is also essential for muscle function and balance. Note:Clumsy children: check vitamin D levels, for flat feet, eyesight and hearing issues. Infants with undiagnosed rickets often have multiple unexplained fractures. This is why, if abuse comes to mind, one must ensure to check vitamin D levels. Pre-natal care should include checking vitamin D levels and any deficiencies are supplemented. Prevention of rickets in exclusively breast-fed infants requires vitamin D supplementation. Dairy products: Fortified milks, yogurts and margarine, eggs and chicken liversand margarines. Breakfast cereals, soya milk and rice milk maybe fortified with vitamin D.
Preschool Children: 70-84% of 1-4 year old’s in Ireland have intakes less than 5μg. 10 micrograms of vitamin D.
Adequate vitamin D3 by synthesis in the skin and/or from dietary and supplemental sources is essential for bone health throughout life. The most common treatment of rickets is with Vitamin D.However, surgery may be required to remove severe bone abnormalities. NOTE : Once vitamin D deficiency has been treated, it is essential to continue to monitor the person to prevent recurrence. This is done by ensuring the underlying cause/s of low vitamin D, are found and addressed. The easiest way to help prevent Rickets in Ireland is by encouraging those contemplating pregnancy and those who have become pregnant, to take vitamin D, through food or a supplement. It is essential to explain the repercussions of not taking vitamin D, as the quality of life for children with Rickets is significantly reduced. There is also the possibility of being bullied, low self-esteem, depression and the economic cost of treating these patientswhich could have been prevented.